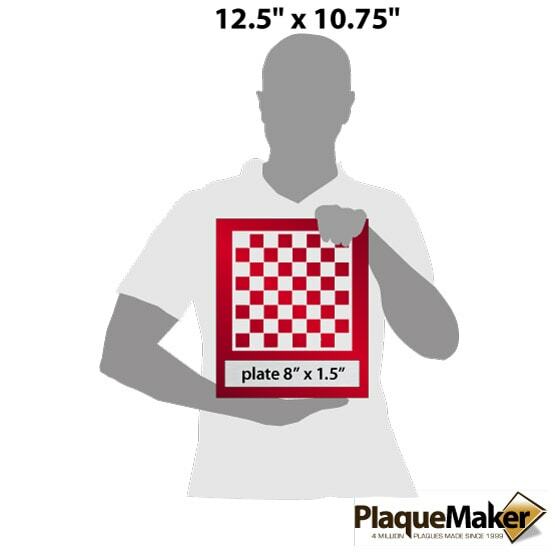 Engraved Chess Set, custom wood chess sets & personalized chess game from PlaqueMaker. This product is expected to ship on Wednesday, April 24 if you place your order within the next -2 hours and 3 minutes. 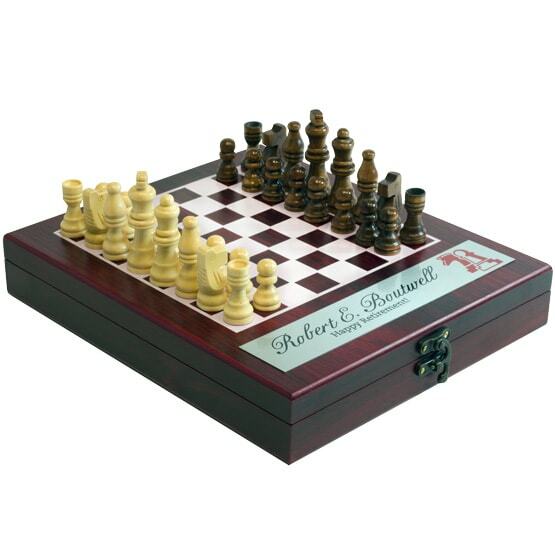 Create your rosewood personalized chess game gift set at PlaqueMaker. 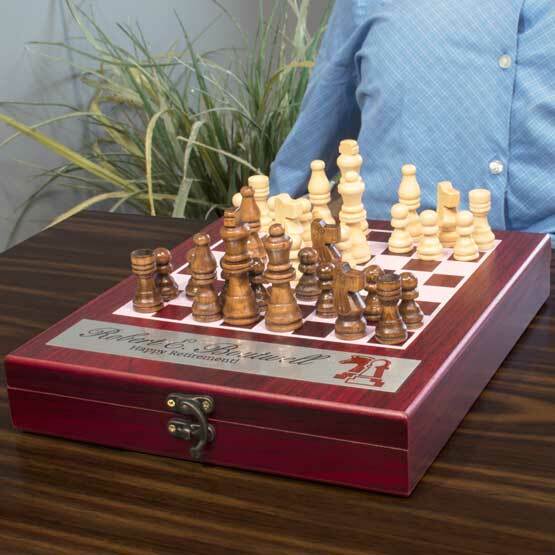 This handsome personalized chess game set is lightweight for travel and makes a perfect gift for veteran chess players or introducing the game to others. Use them for promotions, gifts, or create one for your family game night! Overall Size: 9 1/8 x 10 3/4 x 1 3/4"
Personalization Area: 7 1/2 x 1"